In most personal injury cases, the injured party has the ability to pursue financial restitution for economic damages, including their medical bills and lost wages, along with non-economic damages, including pain, suffering, and mental anguish. However, in some cases, an injured party can also pursue an additional monetary award known as punitive damages. According to O.C.G.A. § 51-12-5.1, punitive damages may be awarded when there is clear and convincing evidence that a defendant’s conduct was malicious, fraudulent, wantonness, or showed a complete indifference to the health and safety of others. The objective of a punitive damages award is to penalize the defendant for their shocking conduct. The hope is that a large punitive damages award will serve to deter others from engaging in similar conduct. You were the victim of a hit and run accident – when a driver decides to flee the scene of an accident, they are breaking the law and violating a basic tenet of moral decency. Driving off and leaving someone to fend for themselves would likely meet the standard of showing a complete indifference to the health and safety of the person hit. You were involved in an accident with a drunk driver – If the reckless driver who hit you was operating their vehicle while impaired by alcohol or drugs, this fact can justify the pursuit of punitive damages. You were hit by a car that was drag racing – When a driver speeds down a street at an excessively high rate of speed, it shows a complete indifference to the health and safety of other drivers. You were hit by a driver who was displaying signs of road rage – when a driver uses their vehicle essentially as a weapon to harm you (e.g., forcing you off the road), this type of conduct could serve as a basis for pursuing punitive damages. There are important limits and restrictions on the recovery of punitive damages that you need to be aware of. First and foremost, there is a cap on punitive damages. The most a jury may award is $250,000. No more, no less. Also, if your case is based solely on non-economic damage such a mental anguish and psychological trauma, then punitive damages are generally not available. If your personal injury case is against the city, county, or state, then you cannot pursue punitive damages against the government entity. 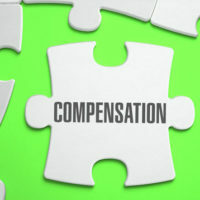 Though, individual employees of the government may be liable for punitive damages if a jury decides to award damages against them in their individual capacity. Due to the higher evidentiary standards that must be proven to obtain punitive damages, you need to have an experienced personal injury attorney on your side who is ready to take a case to trial and seek all available forms of damages. Contact Gillette Law, P.A. in Brunswick today for assistance.